THIS EVENT HAS BEEN POSTPONED… WE LOOK FORWARD TO HOSTING YOU AT THE WORLD PICKLEBALL OPEN DEC. 12 – 15, 2019. Players International Management, Inc. (PIM) is excited to host the WORLD PICKLEBALL CLASSIC (WPC) (March 14 – 17, 2019; Halpatiokee Park in Stuart, Florida) and the WORLD PICKLEBALL OPEN (WPO) (December 2019 in Port St. Lucie, Florida). PIM’s staff hosts the Delray Beach Open ATP professional men’s tennis event (60,000+ spectators) and the YellowTennisBall.com Series of over 30 state, national and international USTA and ITF events. Location. Halpatiokee Regional Park (8303 SW Lost River Rd, Stuart, FL 34997). Halpatiokee Regional Park is the largest park in Martin County, with 65 acres of active park land surrounded by approximately 500 acres of wetland preserve area. The event will consist of 12 dedicated Pickleball courts and 32 temporary Pickleball courts. 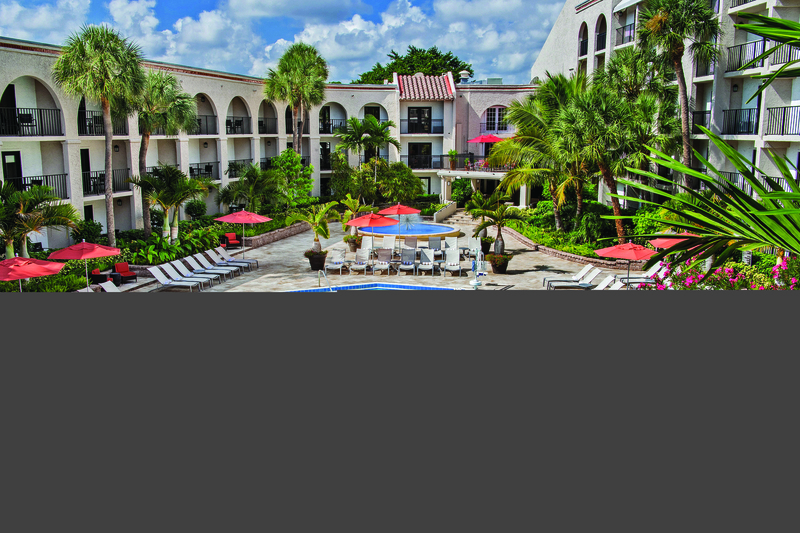 Facilty is 33 miles north of Palm Beach International Airport. Facility info. Skills Divisions: $55 Event Registration Fee per person + $15 Registration Fee per event entered…Minimum of 4 players/teams in each division or division will be canceled. If canceled, refunds will be distributed. 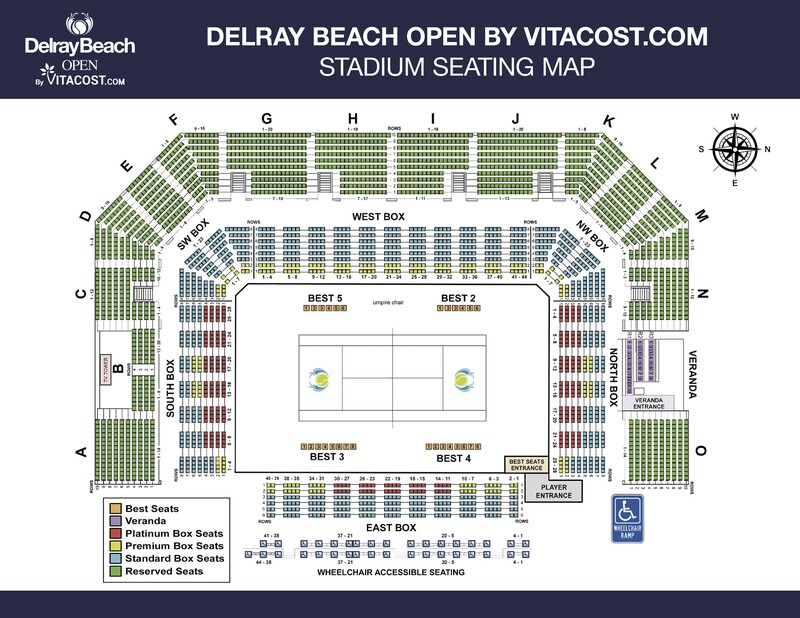 Those that register before January 31, 2019 will receive one complimentary Stadium Court Ticket (one per person in total for participating in the 2019 World Pickleball Classic) to Saturday, February 16, 2019 (Session 2; Opening Day) at the 2019 Delray Beach Open ($40+ Value) ATP Legends Team Event, featuring former top-world ranked ATP stars. 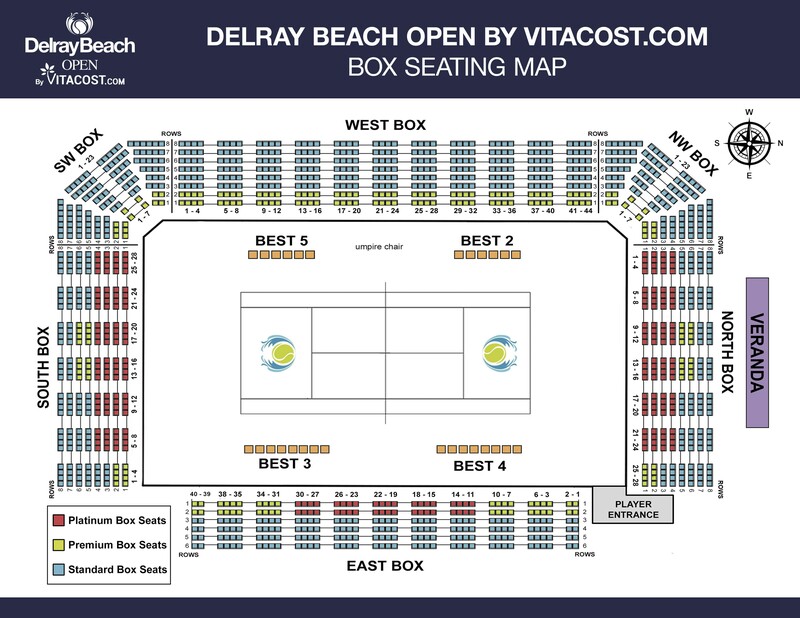 Tickets may be picked up at the Delray Beach Open On-site Box Office on Saturday, February 16, 2019. Please present a valid photo ID… Stadium Court matches take place at 12:30pm and 2:30pm (ticket valid for both matches). Court Surface: The event will consist of 12 dedicated Pickleball courts and 24 temporary Pickleball courts. Weather: Competitions will be conducted unless event staff determines the weather conditions to be potentially dangerous, life threatening or if the facility would incur significant damage. There will be no cash refunds for cancelled events due to weather. Volunteer Info. Volunteering is an invitation to link with great people and oversee the day-to-day operation. This is your chance to “work behind the scenes” and make a difference and contribution to the betterment of a world-class event. 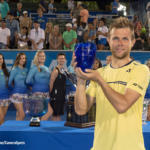 All Volunteers will receive a T-shirt, Lunch or Dinner, and one complimentary ticket to the Delray Beach Open ATP Men’s Tennis Event (Sat., Feb. 16th Evening Session: $44 Value). To Volunteer, please email Pam Gobel pamelagobel@gmail.com or Ivan Baron ibaron@YellowTennisBall.com. Click for details. If you would like to receive future event details, up-to-date event information, and be included in our E-newsletter, please send your email address to ibaron@YellowTennisBall.com – thank you! Prize Money: Up to $18,000+ *dependent upon number of teams per division* (Min. 10 teams/participants per division). Click for details. Consolation: Each match consists of one game to 15, win by two points except for the final match which determines 3rd place…with the winning team to go on to compete for 1st/2nd place. The final Consolation match consists of a best of 3 game format with each game to 11, win by two points. How do I play Pickleball? What is the proper attire for a Pickleball game? What are the dimensions of a Pickleball court? What are the basic rules of Pickleball? How to be safe playing Pickleball? What kind of paddles are allowed by the USAPA? What are the USAPA rules for Pickleball? WE LOOK FORWARD TO HOSTING YOU AT THE WORLD PICKLEBALL CLASSIC! Delray Beach Open by VITACOST.com. The world’s only combined ATP World Tour Event (featuring today’s ATP stars) and ATP Champions Tour Legends Event (featuring former tennis greats). The 27th anniversary takes place Feb. 15 – 24, 2019, is televised nationally and internationally in over 75 countries, and is host to 60,000+ spectators and over a dozen special events and amateur tennis events. Engage Pickleball is US-based and one of the leading and largest Pickleball paddle manufacturers in the world. We are one of the only paddle manufacturers that does not outsource any of their paddle manufacturing. Engage performs all their design, engineering and manufacturing in-house in central Florida. Beyond our ‘vision’ of creating the best Pickleball paddles in the world, our ‘mission’ is to grow the sport by giving back to the community and growing the sport with the youth. Head Pickleball is proud to be the Official Footwear Sponsor of the World Pickleball Classic. We are extremely appreciative of all of the event partners, and thank them for their support in being involved with this prestigious event! 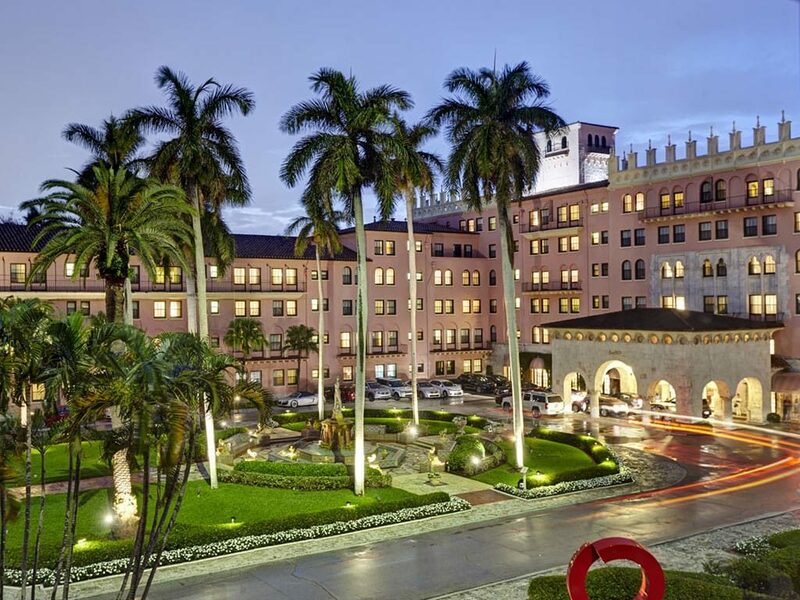 Fort Lauderdale and West Palm Beach Airports are approximately 35 minutes away from Delray Beach (pending traffic). 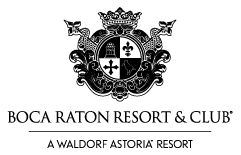 The event has secured a limited number of discounted hotel rooms for event participants. Please make all reservations as soon as possible. 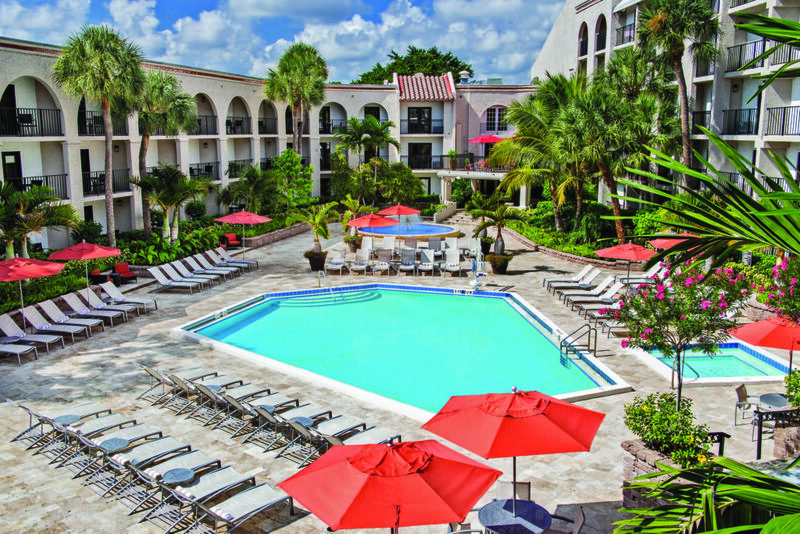 NOTE: All hotels are approximately 5 – 15 minutes from tournament sites. Enterprise Rent a Car is the official rental car provider for the Delray Beach Open and the YellowTennisBall.com Series. For discounted rental car rates, click here (or call 1-800-261-7331) and mention Special Promo code 41WT149 when booking either online or over the phone.